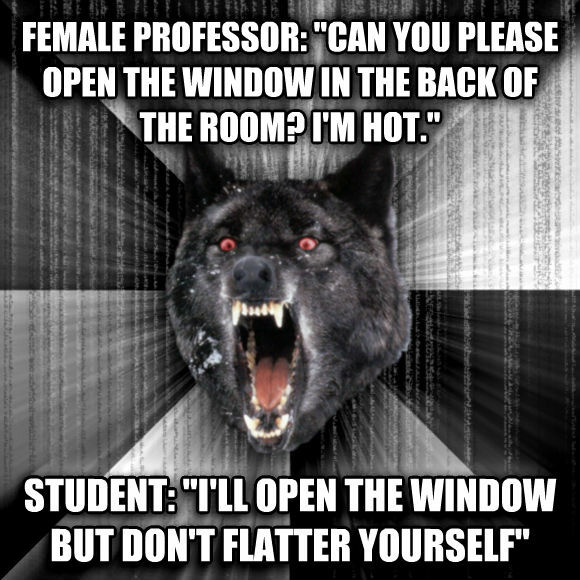 female professor: "can you please open the window in the back of the room? i'm hot." student: "i'll open the window but don't flatter yourself"